Sudden cardiac arrest: Is your school prepared? In 2018, there is no excuse for not having a formal, practiced response plan for SCA at your school, including on-site (indoor and outdoor) AEDs that allow retrieval and application within three minutes of someone’s collapse. A tragedy occurred in our community July 24 when Allen Harris, a student-athlete at Federal Way High School, suffered sudden cardiac arrest (SCA) during a preseason football workout. Harris was 16 when he died of hypertrophic cardiomyopathy, a condition in which the heart becomes oversized and prone to abnormal rhythms. As a parent, I think the death of a child is unfathomably sad. This distressing event should make us all pause and review our schools’ policies to respond to life-threatening emergencies. Cardiac arrest is the leading cause of sudden death in young athletes playing sports. It is associated with structural and electrical heart disorders that usually present no warning symptoms. It is harrowing to witness SCA. Panic can overwhelm bystanders. But the victim can be treated successfully with prompt recognition, rapid cardiopulmonary resuscitation (CPR) and a defibrillator. Every minute that defibrillation is delayed, the likelihood of survival from SCA drops about 10 percent. 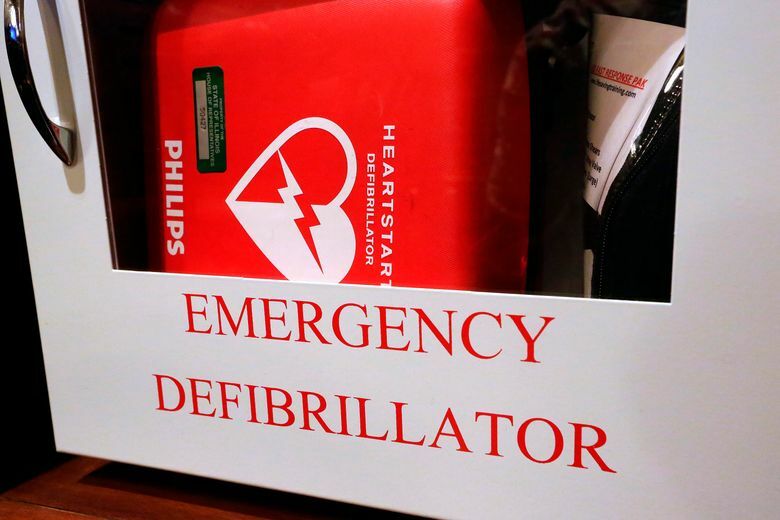 If bystanders quickly recognize what’s happening and use a local AED, the survival rate is 89 percent among student-athletes suffering SCA on a school campus, research shows. I am unaware of the precise resuscitation details in Mr. Harris’ case, but there was an AED nearby, according to the Federal Way School District. Unfortunately, many state and local requirements for school-based AED programs are inadequate or haven’t been fully adopted. In Washington state, a law enacted in 2013 requires all public high schools to have an AED program. Each of the 295 public school districts is obligated to develop a written plan about emergency communications, training of school employees, maintenance and testing of AEDs, and a schedule of practice drills. But this law fell far short of its aims when legislators chose not to allocate money for districts to buy the lifesaving devices. Instead, the unfunded mandate suggested that each district pursue grants and community donations to fulfill their obligation. Practically speaking, this law placed the AED burden on individual schools across the state, which were already underfunded. Moreover, it is unclear whether school districts were adequately informed of the new law and received guidance about how to create and maintain an AED program. My concern is that some schools have not even heard of this law, much less know their role. Education versus safety should not be a choice school administrators need to make. Lawmakers should step up and allocate the necessary funds to make the mandate viable. An AED costs only about $1,000, but funding should go beyond the devices. Resources are needed to train coaches, teachers and staff, to maintain the devices, and to conduct annual practice drills. All are critical elements of an emergency response plan, so AEDs aren’t just boxes on the wall that no one knows when and how to use. As a physician and researcher, I find the lack of knowledge and incomplete implementation of school-based AED programs alarming. As a parent, I find it unacceptable. If your school does not have an AED program, please contact school leaders. Help them understand why this is so important. Help them fundraise. Reach out to local businesses for support. Partner with your PTA, school and district administration, school nurses and athletic trainers to understand what barriers exist and how to overcome them. And, of course, hold them accountable and remind them this is the law. In the meantime, if you witness a young athlete collapse, untouched, and that person is unresponsive to verbal questions, you must assume it is sudden cardiac arrest. Call 911. Begin CPR/chest compressions. Locate and apply an AED as soon as possible. Jonathan Drezner directs the UW Medicine Center for Sports Cardiology and is a professor of family medicine at the University of Washington School of Medicine.